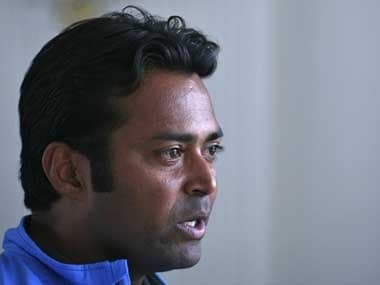 Auckland: Leander Paes and his new partner Andre Sa shocked the top-seeded pair of Treat Huey and Max Mirnyi in the ASB Classic, recording their first victory together after joining forces for this season. Unseeded Paes and his Brazilian teammate knocked out the top seeds 7-6(3) 6-3 to make it to the quarterfinals of the USD 508,360 hard court event which is an Australia Open series tournament. 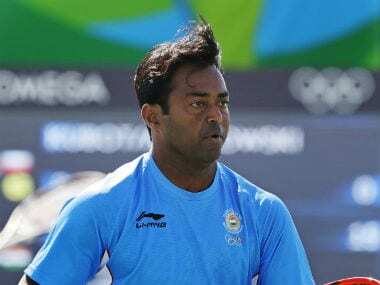 Paes and Sa, who lost the first round at Chennai Open to eventual runners-up Purav Raja and Divij Sharan, lost their serve once and broke their rivals twice in the match, lasting one hour and 14 minutes. They next face the wildcard pair of Marcus Daniell and Marcelo Deloliner. Since Daniell is likely to be in the New Zealand team which will travel to India for the Asia/Oceania Group I tie in February, the match will give Paes a chance to have a measure of him as they will be up against each other in the doubles rubber. Meanwhile, at the WTA Apia International, top seeds Sania Mirza and Barbora Strycova reached the semifinals with a 6-3 6-4 win over wildcard entrants Madison Brengle and Arina Rodionova.